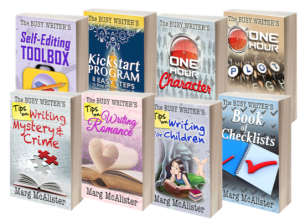 The Busy Writer series of how-to books was created with one main idea in mind: we’re all busy, and we want to know how to do things in the simplest, quickest way possible! You’ll find the most important information you need laid out concisely so you can take action steps immediately to get your writing life organized and get your story published! (Well, let’s hope it’s more than one story…) Links have been included to extra articles and information online, so when you’re ready to dig deeper, the information is there! Take a look at the blog posts on this site to help you on your writing journey. 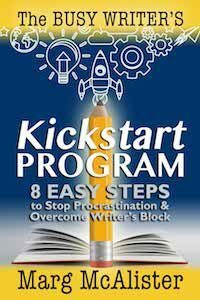 You can follow an 8-week plan, assigning one week to each step, or modify the KickStart Program to suit your way of life and your writing agenda. 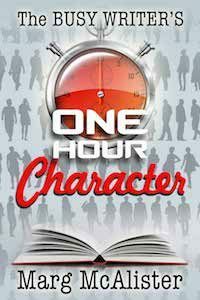 The Busy Writer’s One-Hour Character shows you how to come up with the Lead Character, other major characters, and a solid supporting cast – in just sixty minutes! 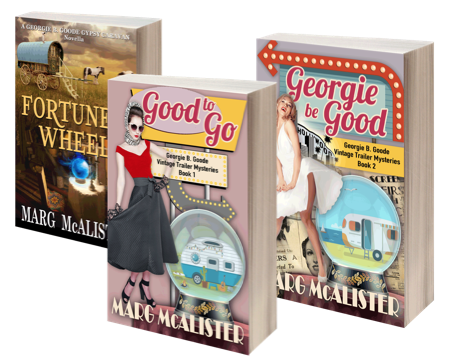 No matter how good your plot is, if you don’t fill the pages with vibrant, interesting characters, your book won’t reach its potential – and you won’t win hordes of raving fans. 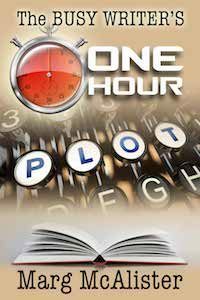 Team the One-Hour Character with the One-Hour Plot, and you’ll have your plot and characters sorted out in less than the time it takes you to go out to dinner! 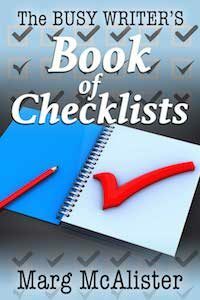 The Busy Writer’s Book of Checklists: In this indispensable writer’s aid you will find 23 checklists for writers, including 6 Foundation Checklists (Getting Ideas, Plotting, Characters, Viewpoint, Dialogue, and Scenes); 3 checklists for Setting and Subplots, and 4 checklists on organizing your time, your work space, your files and your projects. Here it is… every writer’s ‘bible’ for getting a fast start on writing your book. Now it’s up to you. 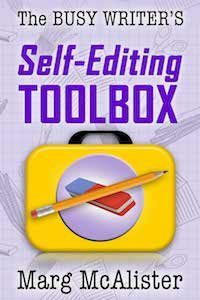 You will find that with the Self-Editing Toolbox at your elbow, you will understand exactly what you need to do so your story moves from being just average to one that wins you a loyal band of readers. 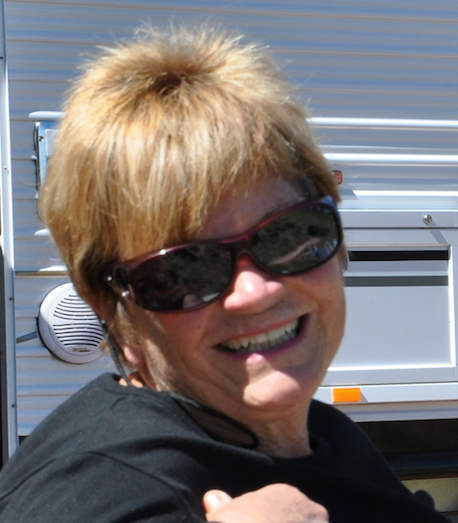 The Busy Writer’s Tips on Writing Romance equips you with the knowledge and tools you need to get started quickly in this popular genre, as well as pointing you in the direction of further help when you need it. 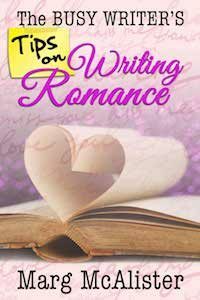 The Busy Writer’s Tips on Writing Romance will have you writing for this popular, evergreen genre within days! 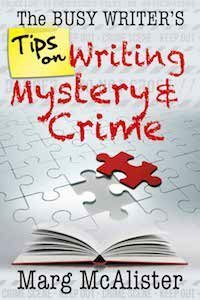 The Busy Writer’s Tips on Writing Mystery and Crime: A glance at any best-seller list will tell you how popular mystery, crime and thrillers are with readers. Most of you will find this perfectly understandable! There’s nothing like the thrill of the chase and the intellectual challenge of trying to guess ‘whodunit’ or ‘whydunit’ before the sleuth. walk in the shoes of the villain, ensuring that he is a worthy opponent. Good thing, then, that this is all covered in The Busy Writer’s Tips on Writing Mystery and Crime! 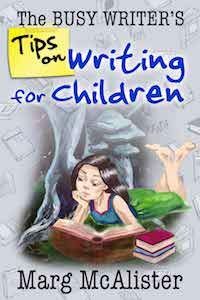 The Busy Writer’s Tips on Writing for Children gives you an overview of the different categories of children’s books, and shows you how to decide which one would be the ‘best fit’ for you. The book also tells you how to access to bonus plot and character sheets that you can download to your computer, print out and fill in to create your own special story.